This past Sunday (the day before school started) Little Man and I headed over to the pool to get one last lazy day of fun-in-the-sun in before the daily routine of school set in and the city closed the pools for the season. 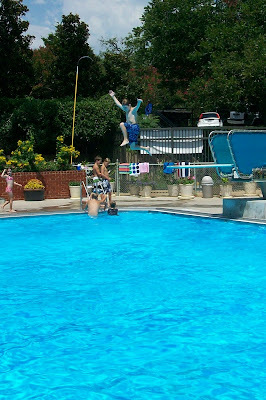 I love mid-air diving board shots. 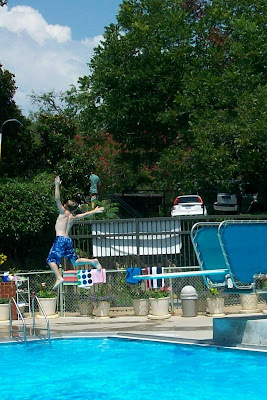 Both of these are Little Man going off the low diving board. 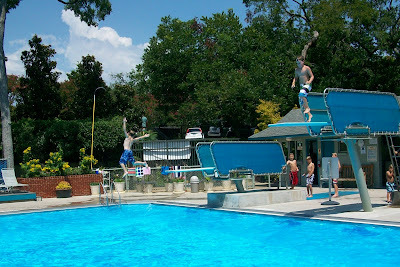 Same shot but pulled back so you can see Little Man and his buddy, Ben, on the high dive. 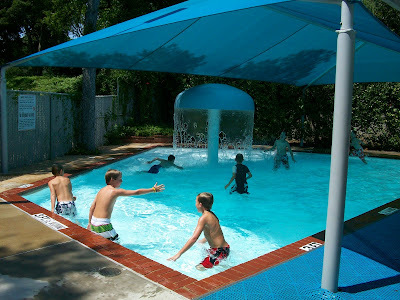 As you can see, there were 6 or 7 boys all wreaking havoc on the pool. They took over the baby pool to play water tag.